Traveling to different countries and exploring new cultures is one of the most fulfilling and exciting things you can do for yourself. Travel opens our eyes and gives us greater insight into the world. While you may not want to pass up spending days soaking up the sun by the pool or the beach, be sure to plan time to explore the beauty of Curaçao with its important history and splendid landscapes. Catch the cultural vibe as you walk along the rows of brightly colored colonial houses at the city’s waterfront. 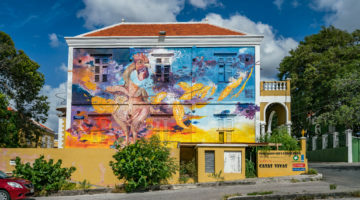 These distinctly Dutch, yet strikingly Caribbean buildings have been transformed over the centuries into stores, galleries, museums and restaurants. And why not spoil yourself at some of the very finest stores on the island? Then return back to your hotel just in time to catch a stunning fiery sunset and feast on a fine, candlelit dinner served on a romantic beach-bed right at the water’s edge. 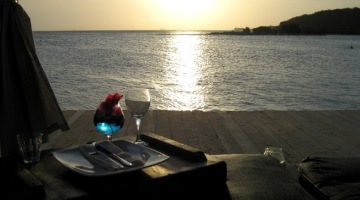 Ahhh yes…Curaçao life… can’t get much better than that! 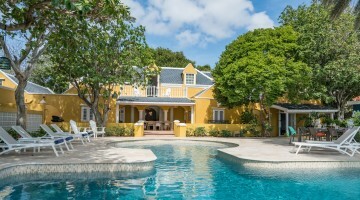 Unless you buy a dream home in this tropical paradise and make it your Curaçao life! This island is a playground for real estate developers and architects building passion projects, and there is no shortage of stunning properties from which to choose. There’s so much more to Curaçao than meets the eye. With each edition of Events Curaçao I’ve come to realize that I’ve only just scratched the surface of what this island has to offer. 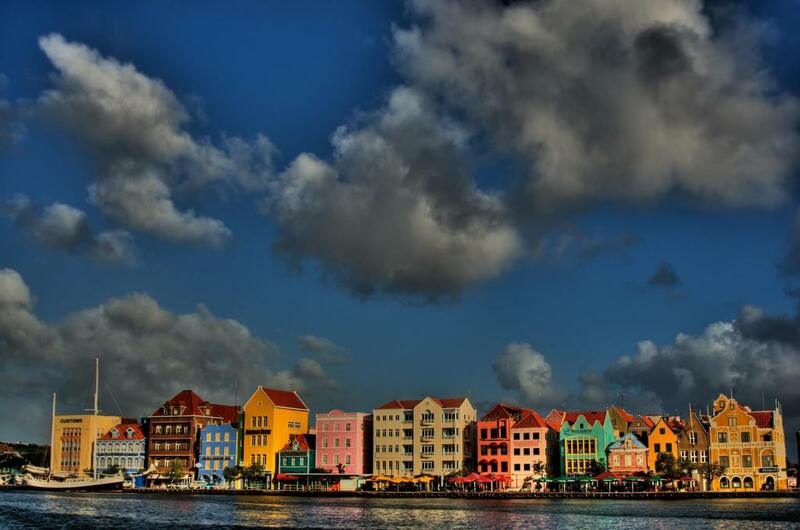 Curaçao holds so many gifts that will appeal to your inner explorer and personal wellbeing. To feel good inside and out is my mantra and I strive to build on the concept of inner-outer beauty and fitness in a way that is enjoyable. My yoga practice helps me dig beneath the surface to reveal the wisdom of making lifestyle changes, that ultimately energize the body, mind and soul… to leave one–not just looking good–but feeling great too. 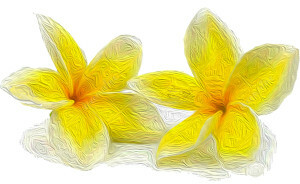 There is a rapidly growing wellness industry here on the island and it is passionately spreading awareness of the importance of living healthy. A community of like-minded people on Curaçao provides tips, resources, classes and workshops on implementing positive, healthy and sustainable lifestyle changes to improve overall wellbeing. Sometimes, all we need is a gentle reminder, especially on your vacation, on how to bring ourselves back into balance and prioritize our own wellness. Today it is more crucial than ever, to keep our minds and hearts open and to learn from other cultures that are different from our own. I know that it has made me a wiser, more understanding and more appreciative human being. I hope that you will also have the chance to explore all the possibilities to enjoy, feel good and relax as you discover the inner and outer beauty of this island. 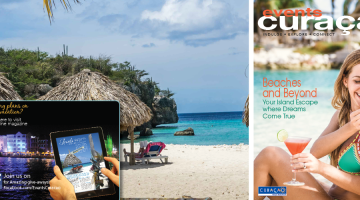 Whether it’s your first time on the rock or your long-awaited return trip, by the time you flip through this edition of Events Curaçao, you will also be convinced that there’s more to this island than meets the eye! 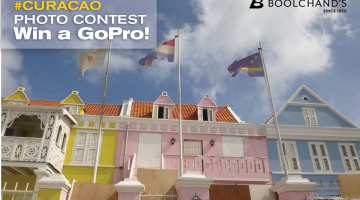 Celebrating a 10-year love affair with Curaçao! 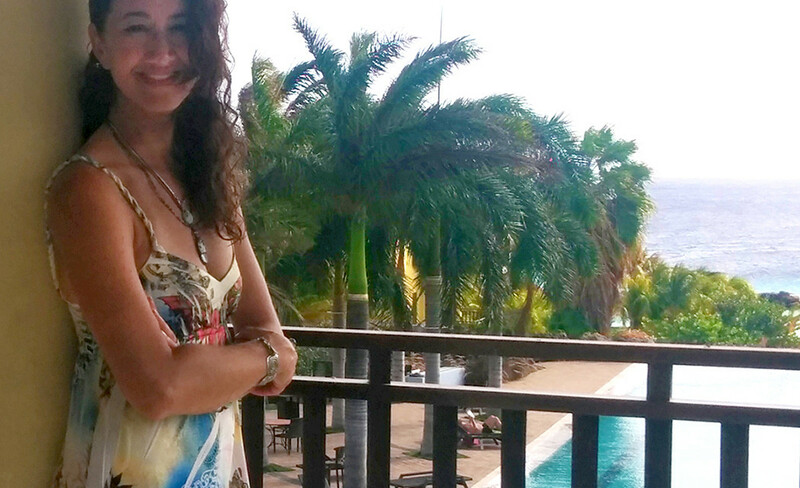 As a magazine director, artist, nature lover, yoga enthusiast and thrill seeker, I love to connect with people and I believe that travel, culture, art and food are intertwined! With every return to Curaçao, I am reminded of how much I love this island that deservedly earns its title, “Melting pot of the Caribbean”. This 171 square mile rock is home to nearly seventy nationalities who live together harmoniously. This Celebration Edition marks our 10-year anniversary and we made it extra special, incorporating artistic touches that reflect the art, culture and picturesque landscapes on this gem of an island. We feature more than beautiful beaches and crystal clear waters… Most island visitors express an interest in learning more about this diverse island’s culture, traditions and art scene. 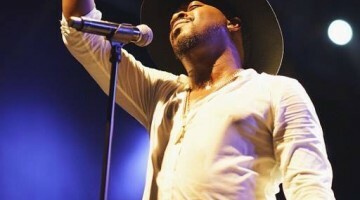 It’s good for the soul to get away and experience something new! 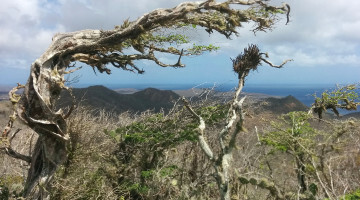 Embrace the island vibe with a mix of beach activities and historical places to visit. 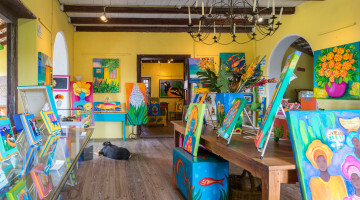 Take a step back in time by visiting old plantation houses called Landhuis and discover for yourself how the spaces have been transformed into art galleries, museums, restaurants and luxurious accommodations. From the majestic sun-drenched vistas – dotted with stunning architecture, to the hip districts featuring specialty retailers and passionate local artists, you can activate your days here with plenty of attractions and tours for unforgettable family fun, then indulge your palate with gourmet dishes accompanied by creative cocktails… Cheers! Discovering unique places, having new experiences and meeting awesome people are the highlights of a vacation, so collect the memories of your time well-spent on Curaçao, and share your stories – inspiring friends and relatives to discover this beautiful island for themselves! A vacation to Curaçao is an escape from routine and a chance to immerse yourself into natures’ sun-drenched captivating sceneries, greet a diverse culture with a rich heritage and enjoy the holiday experience. It is the start to releasing what you “know” to discover the “now”. 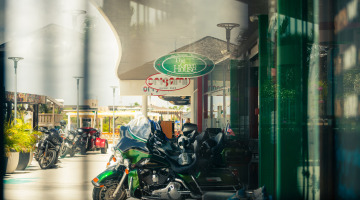 It’s fascinating that with every return, wether for work or for my own mini vacation, I still find the coolest things to do, the wildest sights to behold and the best way to experience all the beauty in the interwoven layers of Curaçao. There is so much to do and see on this island, so plan your days and explore its riveting splendor from one side of the rock to the other. In my recent trips to Curaçao, I had the opportunity to seek some thrills and step out of my comfort zone. I’m delighted to share a few of my stories, as well as recommend some memorable experiences to have on this one-of-a-kind island. Like many of you, I enjoy flipping through the pages of local magazines and guides. It’s exciting to plan the precious (and numbered days) on your trip. Suggestions in the pages ahead will surely pique your interest about a world of activity, hotel and restaurant options during your visit. 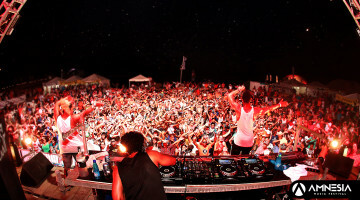 Events Curaçao is the insider’s guide to discovering the local culture, creating some lifelong memories and making the most of your time on Curaçao. 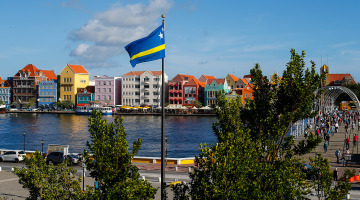 Why do I promote Curaçao as a top notch vacation destination? 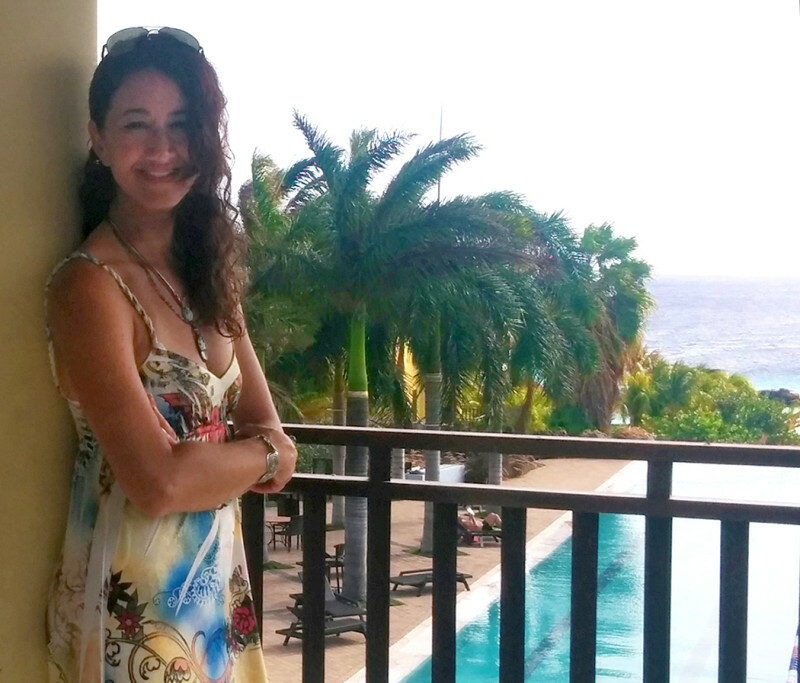 There are many wonderful reasons to list but in short, when I travelled to Curaçao for the first time in 2008 as the new editor and art director of Events Curaçao, it was love at first sight! Your ticket to Curaçao is your escape to Paradise! This is your perfect vacation and the greatest opportunity to connect with nature, your companion and the lovely people you will meet. Enjoy! I did it! I finally travelled to Curaçao with my kids on an extended vacation combining business with pleasure. There are several special people to thank for the warmest welcome and for making what seemed “impossible” possible, starting with taxi drivers, receptionists, hosts, clients, colleagues and last but not least special friends I’ve made through the years returning to Curaçao. It’s important to know that this splendid island offers the first time visitor, or the one that keeps coming back for more, a chance to not only explore its ins and outs and hidden treasures, but also quickly assess that everything you need on a short visit or for a longer stay- is here. There is so much to see and plenty to do, so schedule your daytime activities and night time escapades because the limited time you have on vacation is so precious! The first things on my to-do list were the following: Drop luggage. Slip into bathing suits. Grab suntan lotion (and the kids) and get to the beach as fast as possible! Once you’ve settled into the groove, you can think straight and do whatever floats your boat, (see digital mag p 46). 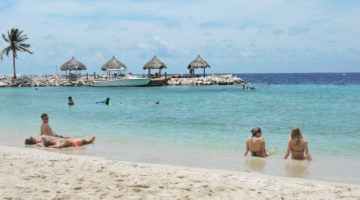 No pressure to do anything you don’t want to do on your vacation, so if it’s more beach you want, Curaçao boast at least 35 spectacular beaches to choose from. But if you want to discover more, go ahead and create the perfect blend of activities, while tapping into your inner-explorer. Vacation means change of pace, being gentle with ourselves and a time for renewal of energy, stretching out to new lands, new people and unique opportunities. To facilitate your journey, Events Curaçao is a guide revealing the best of Curaçao and will surely open your eyes to a mountain of places to discover. 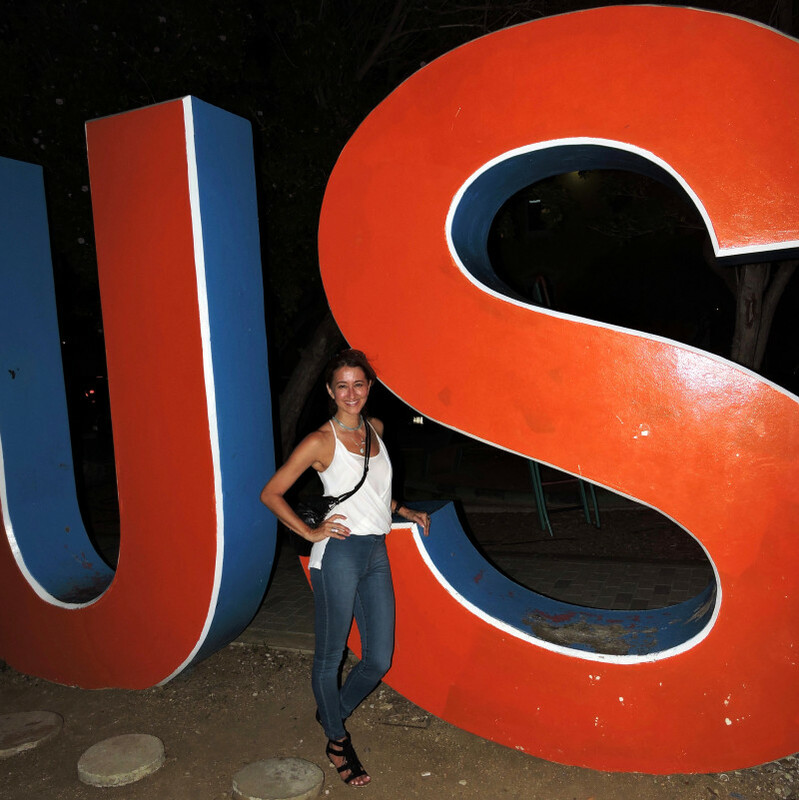 In this edition, I truly enjoy sharing a few of my own stories and experiences as a mom rediscovering Curaçao along with two young boys and a teen this time around. It was so nice to see them break away from iPads and flow to the islands rhythm, immerse into the oceans wonder and discover more then what meets the eye. Whether you’re single, a couple married with children or not, within these pages you can benefit from a trusting source and know you can expect upscale service coupled with a fabulous time and great memories made in Curaçao. 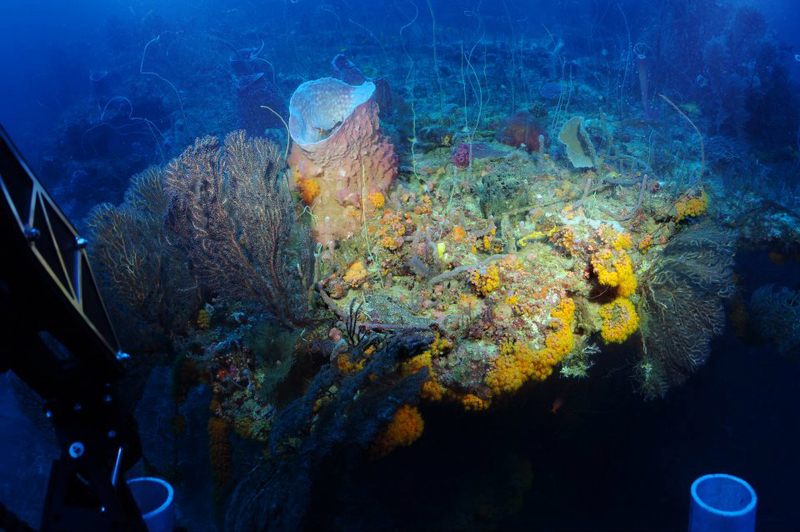 Time to discover Curaçao above and below the surface! 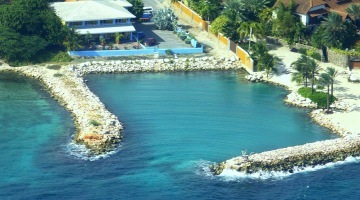 It is no wonder I take my work to heart since work brings me back to a paradise like Curaçao. And I so profoundly appreciate this island’s constant evolution. From ongoing developments in attractions to new stores opening their doors to new fashion trends to more restaurants welcoming visitor with new mouthwatering dishes and unique locations- this island’s always on the move. 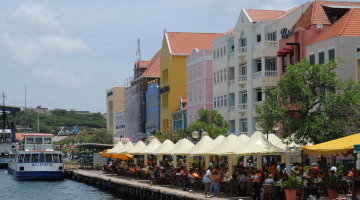 Curaçao is such a distinctive destination. Always promising delightful surprises to travellers whether they are coming to the island for the first time, or returning again after many years… so let’s see what’s in store this trip! There is nothing monochromatic about Curaçao. It is an island alive with color above and below the sea surface. No visitor will experience their vacation the same way. And for repeat visitors to the island, each trip is different from the one before. 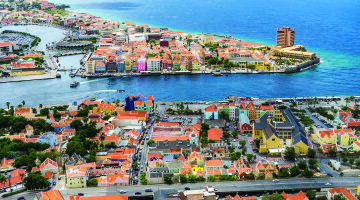 Curaçao has everything from enriching cultural experiences and historical sites to a choice of luxurious accommodations, local culinary delights, great shopping and entertainment, and an unparalleled choice of land and sea activities. 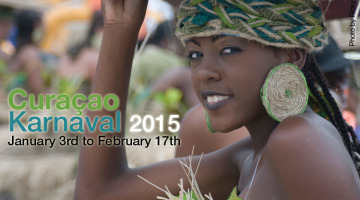 I like to think of Curaçao as the Connoisseur’s Caribbean destination. Like most days in Curaçao, I’m scheduling meetings and assessing what highlights and features will fill up the pages of the next edition. On one of those days, Barbara van Bebber from Substation Curaçao was expecting my call. What began with a business call ended with me literally 487 feet below sea level! Had I known, would I have still made that call? I could say with certainty, yes! I love to go beyond my comfort zone so with a deep inhalation I said “yes” to this once-in-a-lifetime opportunity. Stepping into the Substation office, I was greeted by a warm and friendly team who presented an audio-visual debrief and answered some of my questions of which included a good explanation of the technical side to the operation, the stages of descent and safety procedures as well as the interior and exterior effects of the 1 1/2 hour journey as we would gradually reach the desired depth. Then I was handed a styrofoam cup, a few coloured permanent markers and asked to draw something around it. I happily drew a dolphin playing with a beach ball while one of the staff members understood my curiosity about this request and explained how this cup would be attached to the outer part of the Curasub and I would see the effect of the pressure after the descent and ascent. Now it made sense! Shortly after, I was escorted to the Substation dock and there it was, the Curasub. I felt a sense of assurance wave over me as I entered the “hublot”, waved bye-bye and sat snugly at the very front with a spheric window to gaze out into the blue. Overhead were switches, knobs and buttons, all kinds of impressive but confusing devices controlled by Bruce and Tico, the operators piloting the Curasub. As we began our descent to 15 feet, a buoyant photographer appeared in front of my clear bubble, snapped a few shots and then waved goodbye. It was surreal. Down at 25 feet, a school of fish sparkle in the sun rays and swoosh by. At 50 feet, colorful soft corals, swaying plants and anemones protect little pods of fish and I spot a couple Trunkfish. At 100 feet, Blowfish and Scorpion fish scatter about and find refuge. At 200 feet, it’s dark, but a small non-invasive light projects forward and I see little creatures hiding in the coral that is clearly alive with all kinds of small colourful fish. 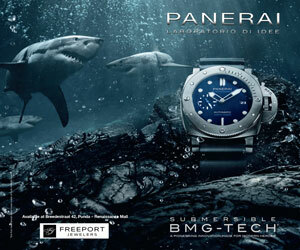 At 300 feet Bruce amuzingly announces that he will be turning off the sub light and within a split second we are in total darkness! It was reassuring when he turned the light switch back on! Now at 400 feet, we see a beer can on a patch of sand. (reminder to self: Do Not Litter!) 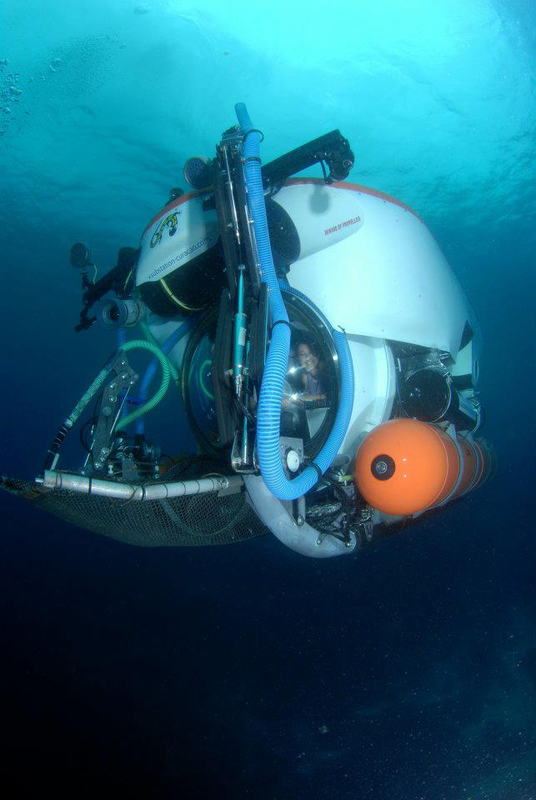 The can was scooped up by a mechanical arm and deposited in a research net attached to the sub. At 487 feet I don’t want it to end but we begin to ascend in a tranquil 1/2 hour ride back up to the surface and glide back to the dock. To think that the area we covered at this depth has approximately fifteen recently discovered small species swimming around is absolutely fascinating! I left with a huge smile, a certificate of submersion and a very tiny cup that fit in the palm of my hand. 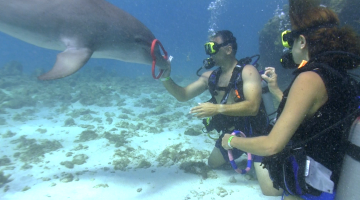 If I may offer up one piece of advice while you visit this amazing island, try something new while you’re here! Step out of your comfort zone, be as adventurous as you like, or take it easy… Either way, you’ll want to come back just to be able to do all those things you did not have enough time to do!